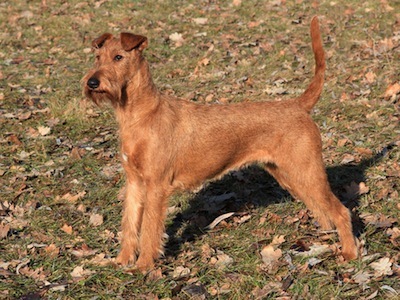 With its bushy brows, folded-over ears and big, dark eyes, the Irish terrier charms people wherever it goes. The dogs’ naturally loving nature, coupled with their almost uncanny ability to read their owners’ moods, means they can be relied on to lift spirits in even the most difficult and dangerous situations. During the First World War, they did their bit as messengers in the trenches. Although they weren’t an ideal match for the job description – the military dog expert Col Edwin Richardson admitted that they were ‘too easily diverted by the need to greet friends, old, new or imagined’ to be really effective lines of communication – their cheerfulness and courage did a huge amount to boost soldiers’ morale. ‘They are extraordinarily intelligent, faithful, and honest, and a man who has one of them as a companion will never lack a true friend,’ the same author wrote. One Irish terrier, Prince, became famous in 1914 when he ran away from his London home after his beloved owner was posted to France. Somehow, he managed to cross the Channel of his own accord (presumably by stowing away on a troop ship), and eventually tracked down his master in his foxhole. Thought to be one of the very oldest of all the terrier breeds, the Irish terrier emerged in West Cork, where its ancestors controlled vermin, kept an eye on livestock and guarded remote farms. By the late 19th century, they had become the first terriers to be officially recognised by the English Kennel Club.  Although at the time it was one of the best-loved breeds in the country, its popularity has steadily waned, and it’s now sadly on the Kennel Club’s ‘At Watch’ list of vulnerable native breeds. 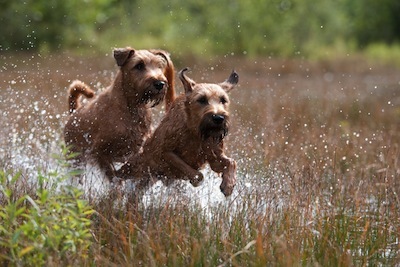 Fearless they may be, but Irish terriers are also gentle, sweet natured and full of fun. 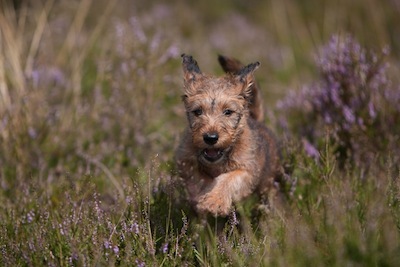 Brilliant with children, they have an irrepressible sense of humour and make perfect playmates – in Country Life’s 2013 feature on the breed, one owner described his Irish terrier as ‘the son I never had’. They’re gregarious and love making new friends, although they have a reputation – totally undeserved, owners insist – for being rather intolerant of other dogs. Their wiry coats will need to be combed a couple of times a week, and trimmed and shaped every few months.